Wedding photojournalism is a special kind of wedding photography; it is the telling of a bride and groom’s story through photographs. 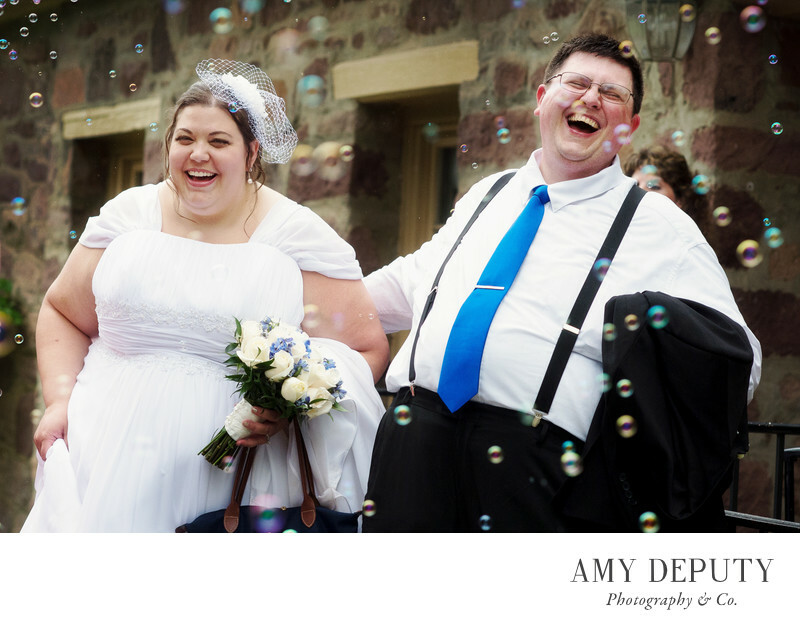 More than just a collection of candid, unposed images, wedding photojournalism goes further to show beautifully framed moments of real emotion. A groom tears up as he sees his bride for the first time. A bride hoots in surprise at her maid of honor’s toast. Guests make passionate and silly faces as they sing along to popular reception songs. These moments are fleeting and happen so quickly. The best wedding photographers with a photojournalistic approach are well versed in the art of anticipation. We look for the moments before they happen. The greatest way to capture those amazing wedding moments is to first know your bride and groom and their families. Are they playful? Goofy? Expressive? Serene? Do they communicate with big gestures or more quietly? The lovely couple picture here were warm and so loving with each other. They also had a great sense of humor and were quick with a smile and laugh. As they burst through the doors into a crowd of close friends and family, their expressions show their pure joy and reflect how much fun they were having on that day. This is one of my all-time favorite shots. Looking at it, I feel their happiness and, in turn, a smile forms on my face. Location: Cabell's Mill, 5235 Walney Rd, Centreville, VA 2015.